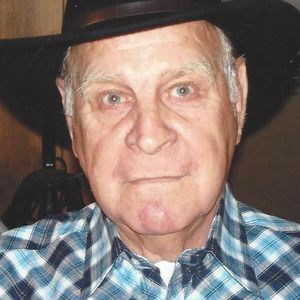 DAWSON SPRINGS - Fred Sullivan, 73, of Dawson Springs, died Tuesday, July 26, 2016, at 12:30PM at his home. Mr. Sullivan was born November 27, 1942, in Saline County, Illinois. He was a carpenter. He was preceded in death by his first wife, Nancy Sullivan; parents Clelvas and Opal Sullivan; grandsons Dakota Sullivan and Eric Wayne Ewings; brothers Gene Sullivan, Bill Sullivan, and Morris Sullivan; and sisters Novella Hopkins and Barb Jones. He is survived by his wife, Connie Key Sullivan of Dawson Springs; sons Jerrel Sullivan of Central City and Bill (Kim) Sullivan of Penrod; daughter Rena (Greg) Davis of Livermore; step-son Donald (Annette) Morris of Nebo; step-daughters Lisa (David) Johnson of Dixon and Sherry (Jesse) Hendrix of Dawson Springs; grandchildren Chris, Clay, Colton, Dusty, Dylan, and Jessica; step-grandchildren Dustin, Davory, Brandon, Dillon, Morgan, Heather, Brittanie, Tommy, and Wade; brother Don Sullivan of Drakesboro; eight great-grandchildren; and nine step-great-grandchildren. Funeral services will be Saturday, July 30, 2016, at 1:00PM at Tucker Funeral Home in Central City, with Bro. Don Neal officiating. Burial in Cessna Cemetery. Visitation will be Friday after 5:00PM at the funeral home. Online condolences may be made at www.tuckerfuneralhomes.com. Fond memories of a good friend. Rest easy. May God's grace comfort your family in their time of loss.